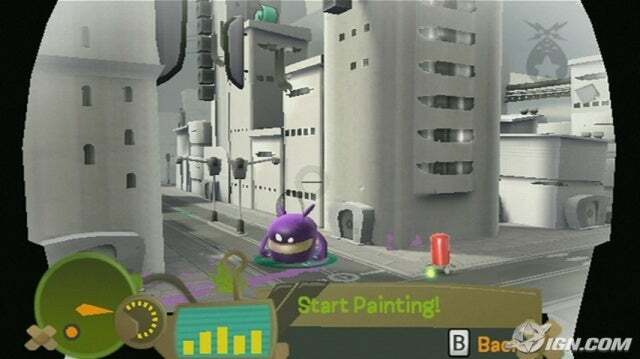 One of the most surprising video games I’ve played in the last year is THQ’s de Blob for the Wii. Click the link for it’s description on Wikipedia. One of the most innovative portions of the game is it’s soundtrack, which is a funky, upbeat jazz odyssey, and is completely governed by the way you play. As you paint buildings, you build the soundtrack. If you use red, a sassy saxophone will flare up and green is a blues guitar. Eventually, as you paint more and more, the tracks crescendo and you’re grooving, literally. Well, after a couple of weeks of looking for the soundtrack, I found it at Amazon MP3. You can get it here. Below is one of it’s tracks, a little selection called “Euphoric” in the game. Get the entire soundtrack if you like it. I guarantee you won’t regret it.